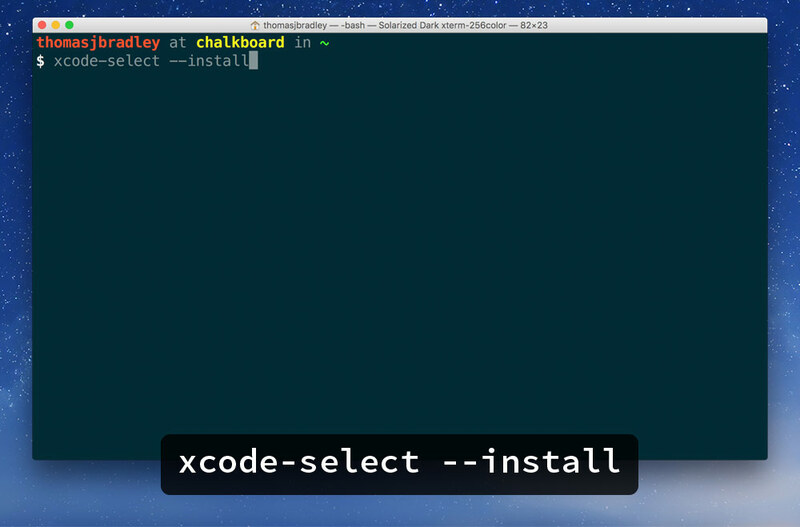 Set up your computer, install all the different web browsers, install a code editor, and set up GitHub. You can watch the video(s) or follow along with the written tutorial—or both—they convey exactly the same information. Let’s change a few settings on your computer to make development life easier. Make sure “Show all filename extensions” is checked. If you’re a Windows user, this tutorial isn’t for you. ☛ Go to the Windows installation tutorial. 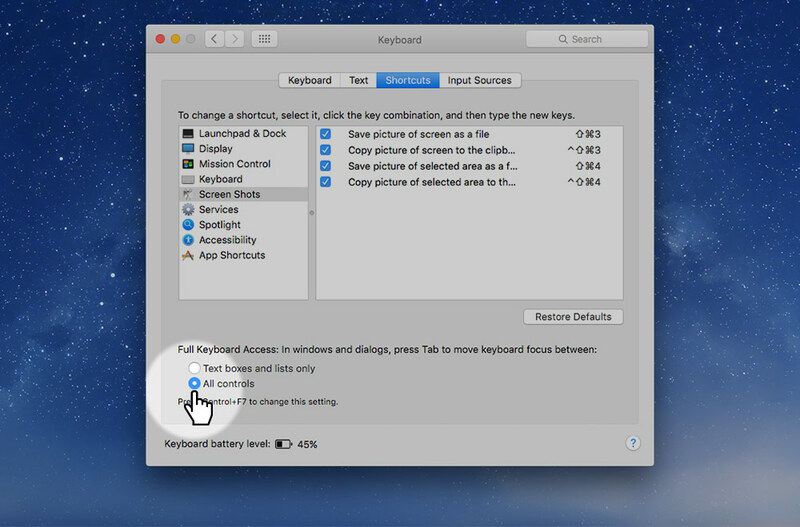 By default some of the keyboard features are turned off on Mac OS X—let’s fix that. Go to  > System Preferences…. Go to the “Shortcuts” tab. Enabled full keyboard access to “All controls”. This is a simple zip utility that’s much better than the one built into Mac OS X. It’s one of those apps I install on every Mac I touch. If you have an Apple App Store account, search and install it from there. 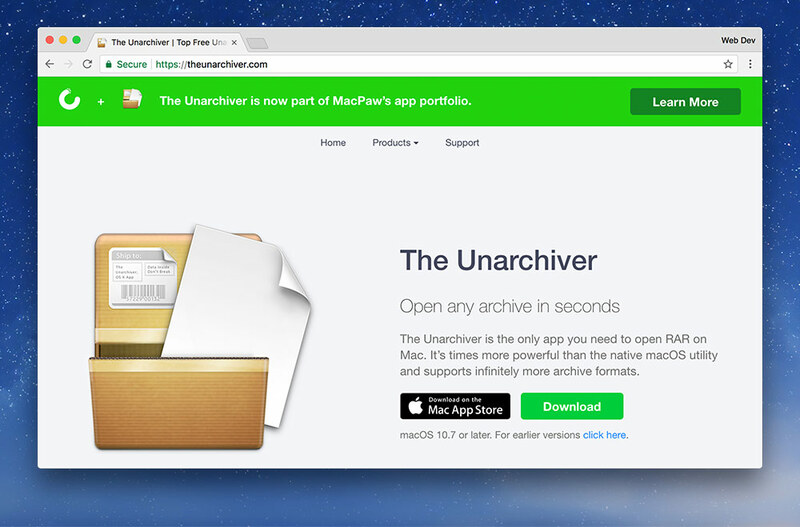 Download The Unarchiver from the website. Drag the application to your “Applications” folder. We need to install a bunch of browsers because, as web designers, we don’t know what browser someone will be using—so we need to test our websites in all of them. Go to Mozilla’s website and download Firefox. Mount the disk image by double clicking. Eject the mounted disk from your computer. 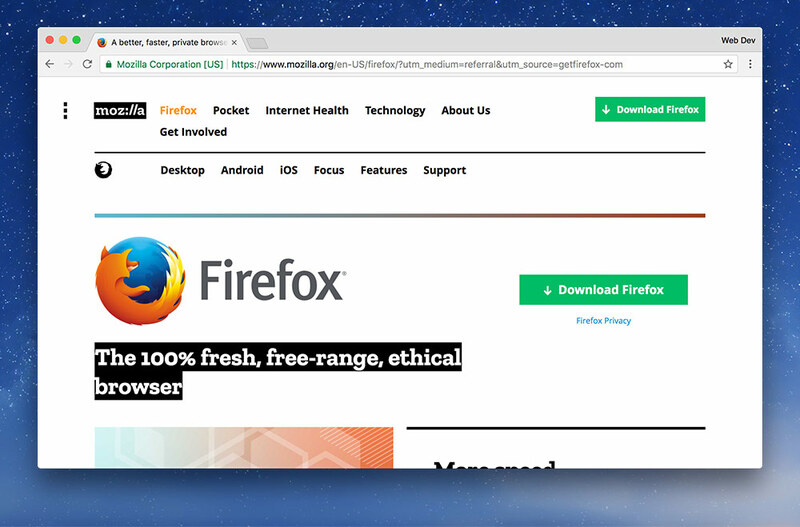 Make sure to only download Firefox directly from Mozilla—other websites may inject malware. 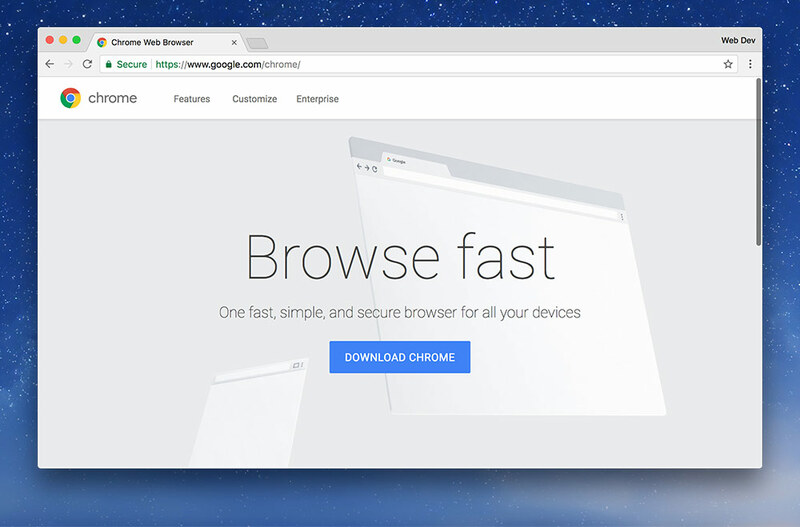 Make sure to only download Chrome directly from Google—other websites may inject malware. Go to Opera’s website and download Opera. Double click the installer and let it do its thing. Delete the downloaded installer file. 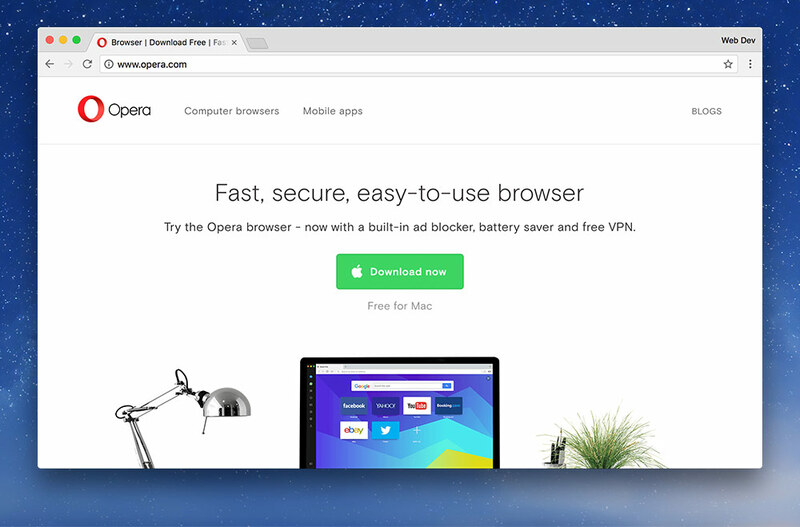 Make sure to only download Opera directly from Opera—other websites may inject malware. Safari’s web developer tools are turned off by default—so let’s turn them on. 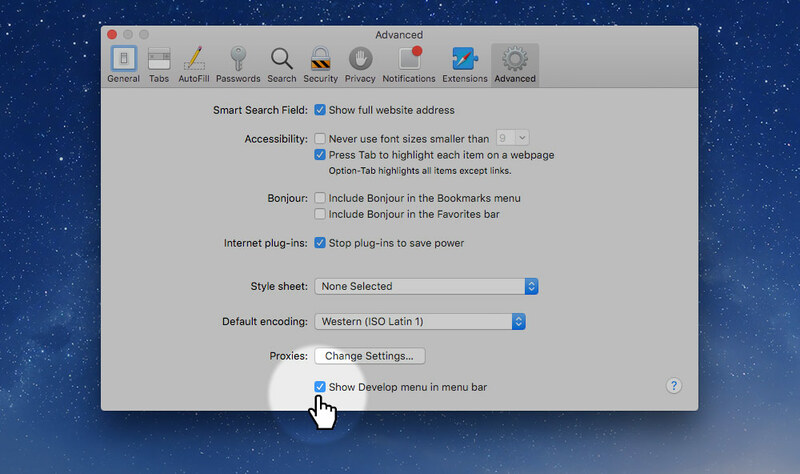 Make sure “Show Develop menu in menu bar” is enabled. We want to be able to test Microsoft Edge, but because we’re using MacOS, that becomes a little more difficult. A simple way to test is using an online emulation service. 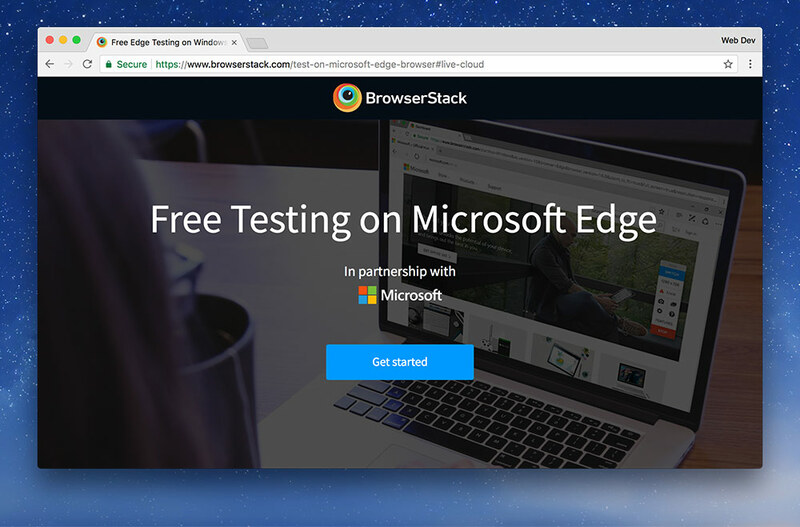 BrowserStack, sponsored by Microsoft, provides free Microsoft Edge testing. So, we’re going to use that service. Go to BrowserStack’s website and create an account (press “Get Started”). You may be prompted to install something else for testing on localhost: Press “Yes” you want to do that, and install the extension. This will make it so double clicking HTML files opens your browser instead of a code editor. In Finder, go to where it was downloaded (likely your “Downloads” folder) and right click—press “Get Info”. Under the “Open with” section, set it to “Firefox” or “Chrome”. Close the info window and trash the HTML file. 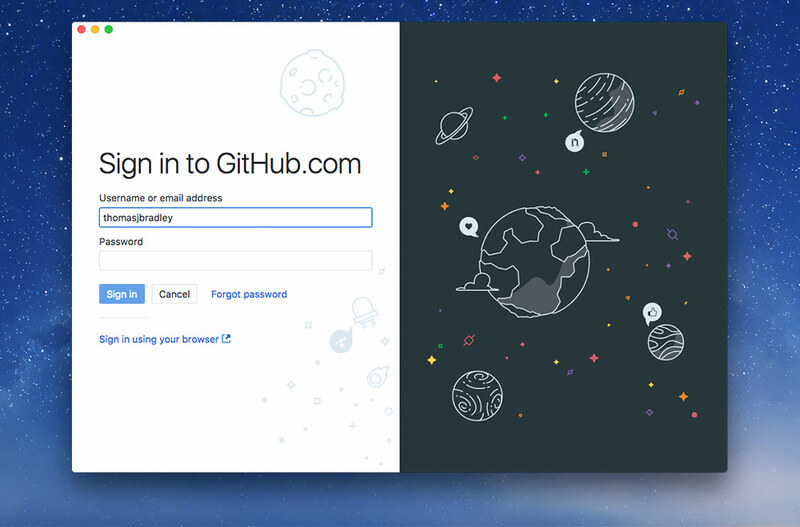 Go to GitHub and sign up for an account. Choose whatever username and email address you’d like. Choose the free plan when you get to that screen. You’ll be handing in your profile page online later. Though it shouldn’t need to be said: remember your password! 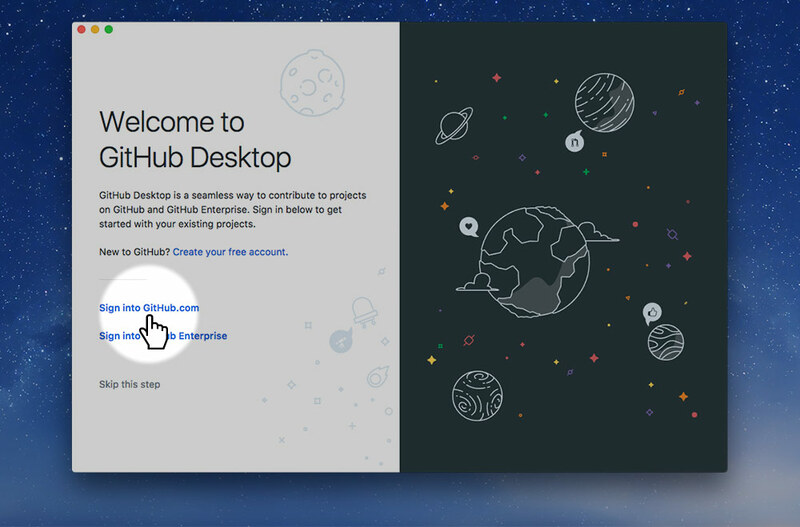 We need to install the GitHub Desktop application so that we can manage and upload our code to GitHub. Download the app from the GitHub Desktop website. Drag the GitHub Desktop application icon to your “Applications” folder. 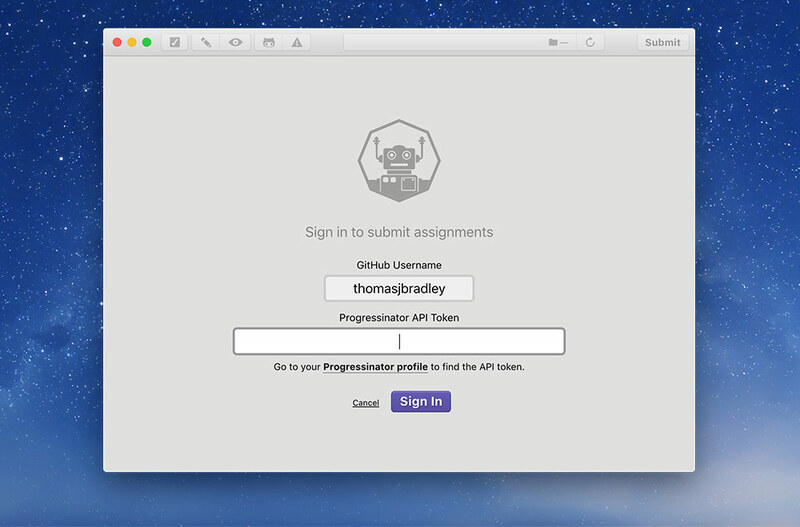 Make sure to sign in with your GitHub username, email address, and password. We need to install some extra development tools on our computer so Markbot can work well. It will guide you through the download and installation process. We need to install the JDK because the automated marking program, Markbot, needs access to Java for performing some of it’s tasks. Go to the JDK download page on Oracle’s Java Downloads website. Chosse the .dmg version. And don’t forget to accept the license agreement. 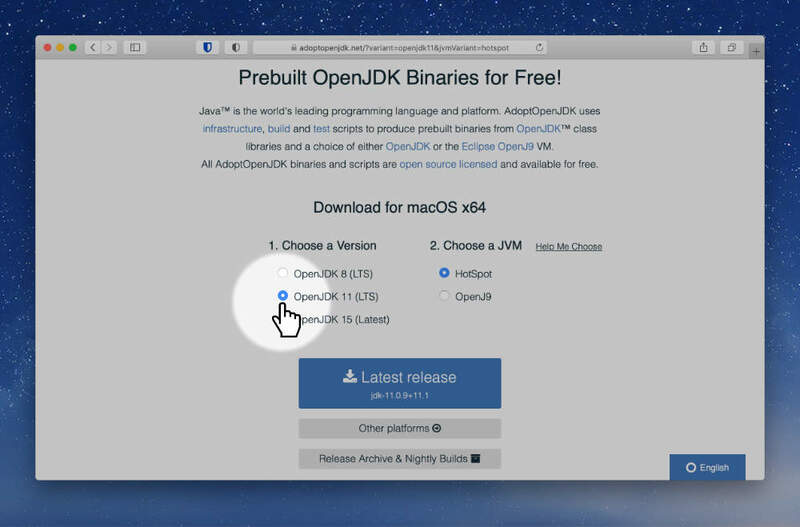 Download the JDK for your computer. All of the coding exercises we do in this class will be using Markbot to automatically grade your work. So, we need to set that up. Open up Markbot and sign in with your GitHub username. Double check you’ve installed everything on your computer.